Users of the Internet site www.diamandes.com confirm that they have the necessary skills and means to access and use the site. Users of the Internet site www.diamandes.com acknowledge that the computer system they use is free from all viruses and that it is in perfect working order. Any information provided by Bodega DiamAndes is given for guidance only and does not absolve users from performing their own supplementary and personal research. The overall design, as well as the texts, still and moving images, audio, know-how and all other elements making up the site are the sole property of Bodega DiamAndes and/or its suppliers. 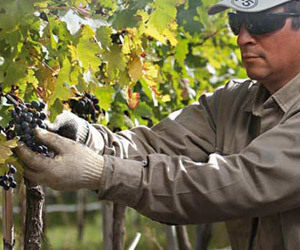 The same applies to all databases on the web site which are protected by the provisions of the Law of 1 July 1998 (article L112-3) and of which Bodega DiamAndes is the producer. The internet address of the site www.diamandes.com must always be included in the citation. For any other uses, please contact us. All hypertext links to this site www.diamandes.com from other sites on the Internet network must be expressly authorised in writing by Bodega DiamAndes. Please contact us. Bodega DiamAndes cannot be held responsible for the content of other Internet sites accessed via hyperlinks present on the site www.diamandes.com. According to article 34 of the French law n° 78-17 of 6 January 1978 regarding Data Processing, Data Files and Individual Liberties, any user who has directly or indirectly placed personal information on the site has the right to ask the service provider to reveal this information, and to have it corrected or deleted as appropriate by contacting Bodega DiamAndes. 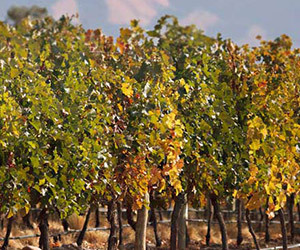 As the winery is located in Argentina’s arid region, the climate is dry and the annual rainfall ranges between 200 and 300 mm. 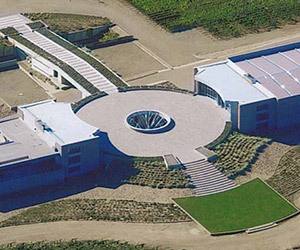 One of the governing principles of the project is the essential connection existing between wine and nature.